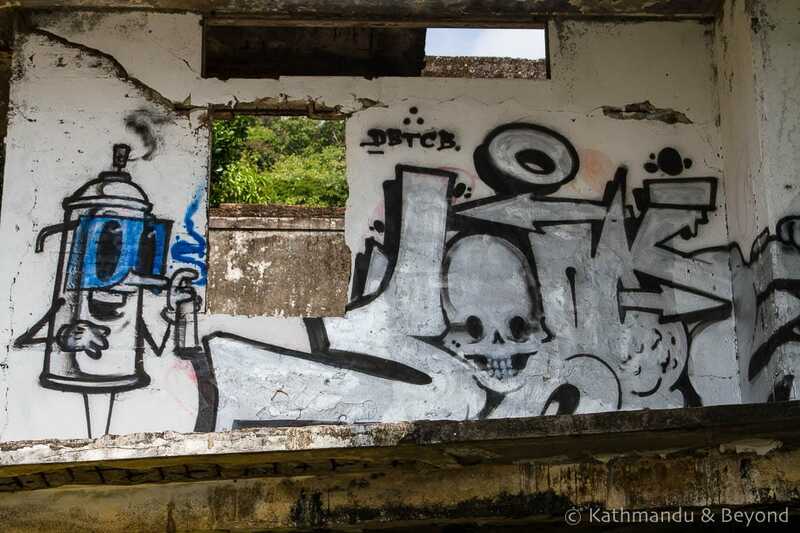 More often than not, when buildings are abandoned it’s inevitable that street art and graffiti will soon follow. 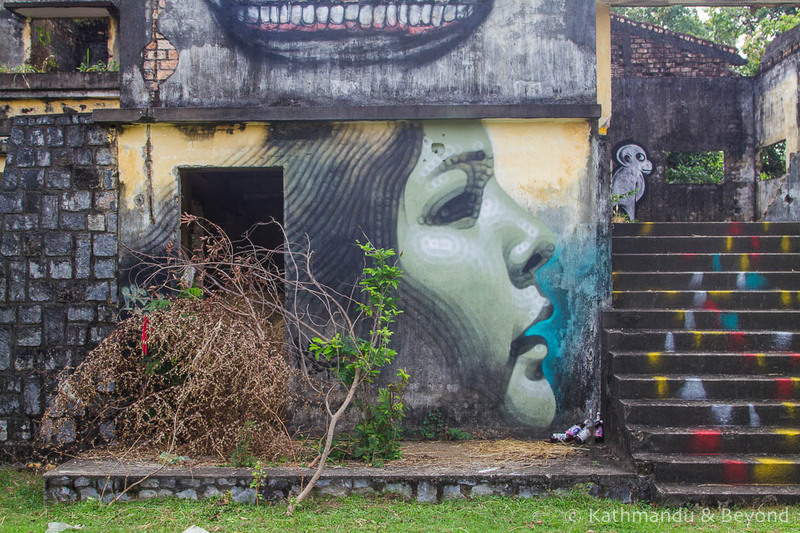 Considering the size of the town, Kep has a surprising amount of both street art and abandoned buildings. 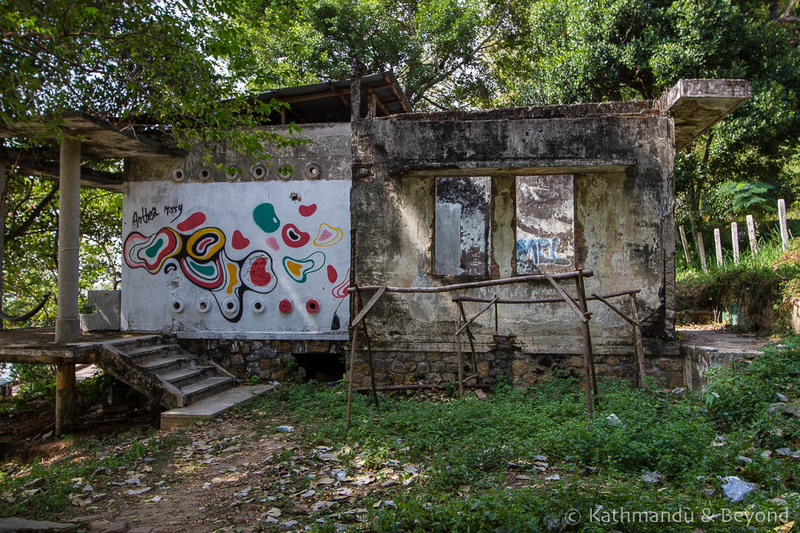 Our primary reason for seeking out Kep’s abandoned villas was to explore the buildings themselves. 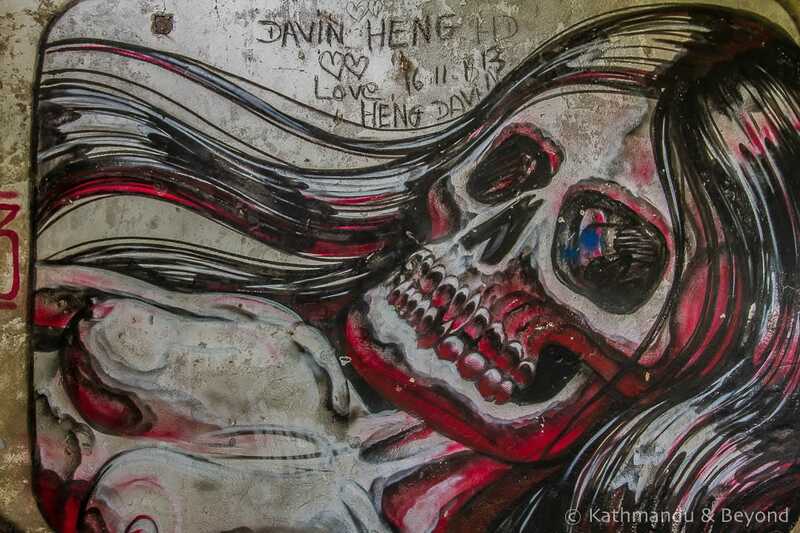 We were keen to see the ghostlike shells of the once-grand seaside residences of French colonials and wealthy Khmers from Phnom Penh, that today have been overtaken by jungle or occupied by squatting families. 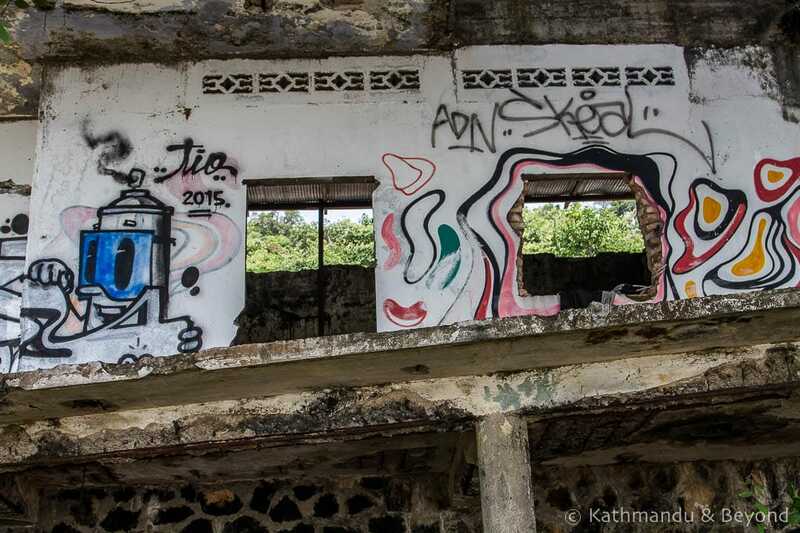 Mark wrote a more detailed piece on Kep’s Abandoned Colonial and Modernist Villas, which included a glimpse of the street art, but this short photo essay focusses on the murals and graffiti we came across and was an added bonus. 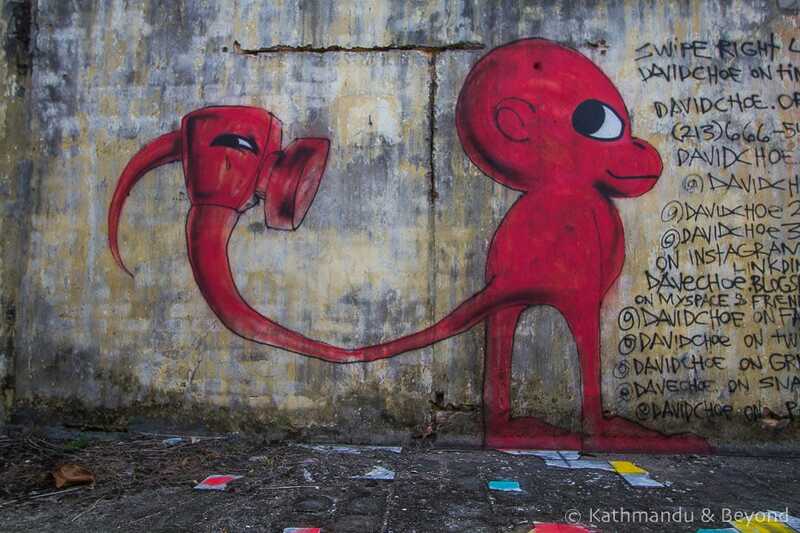 I couldn’t find out much about the history of Kep’s street art but I believe some it was done in conjunction with Cambodia Urban Art’s street art festival in Phnom Penh. 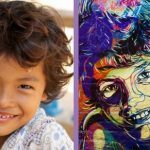 I certainly recognised the work of Anthea Missy, a French artist whose signature style I’d also spotted in the capital’s Boeung Kak street art district. 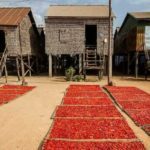 Although the art in Kep isn’t as prolific or even as skilled as a lot of street art we’ve seen elsewhere, I was surprised to see any at all in a small seaside town that is most famous for its fresh crab shacks! 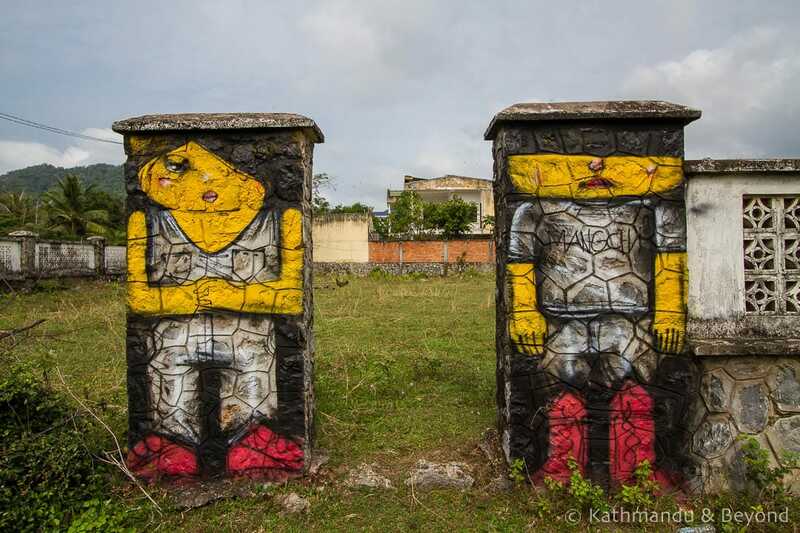 Where have you seen street art when you’ve least expected it? LIKE IT? PIN IT & SAVE IT FOR LATER! 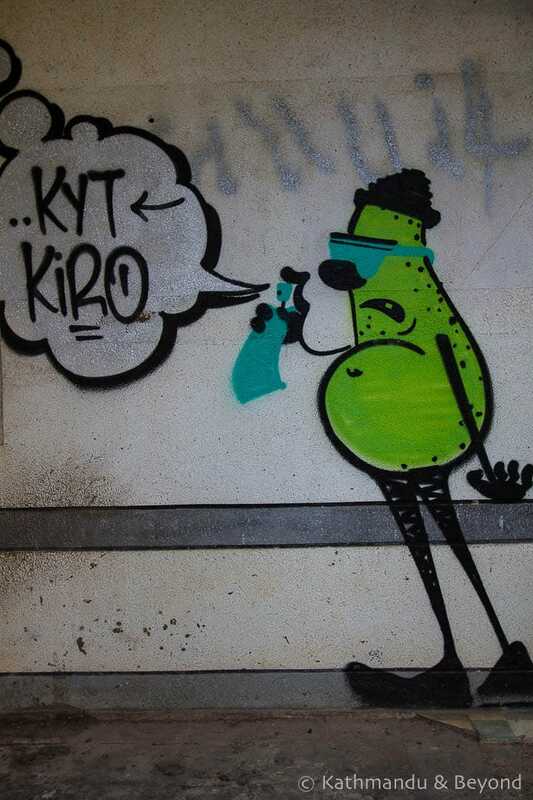 Do you love street art as much as we do? 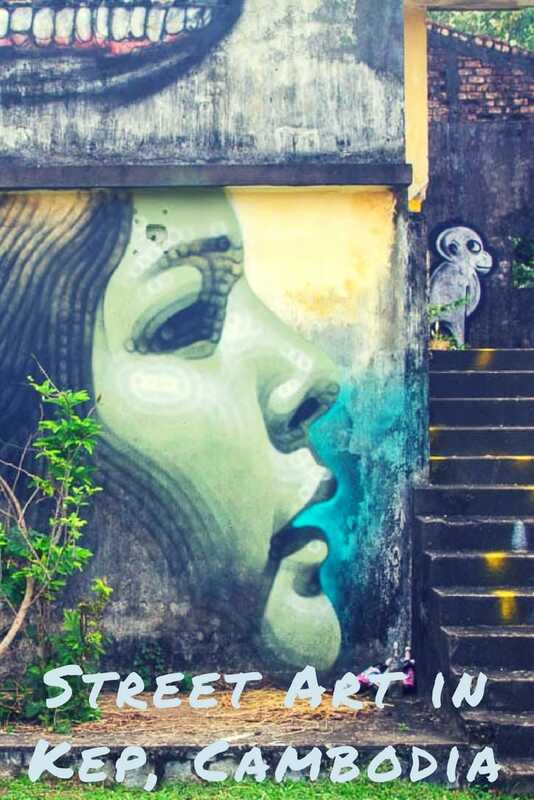 Do you like to seek out interesting street art and graffiti on your travels? 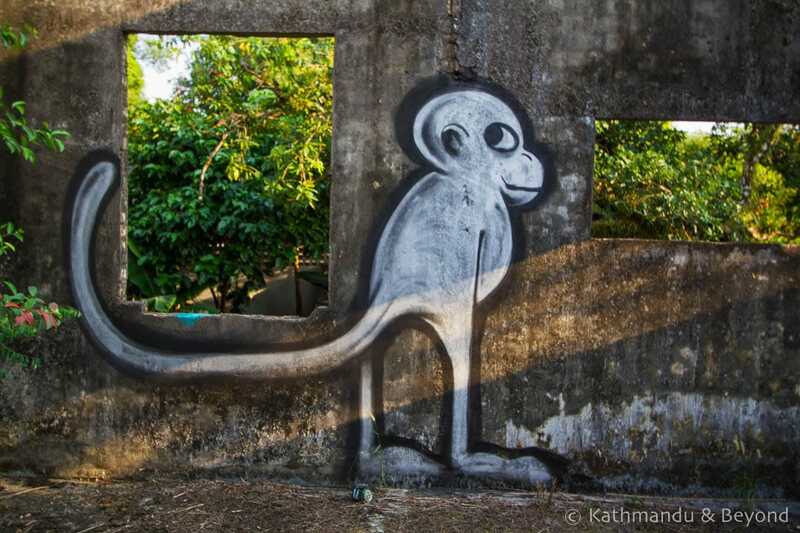 We have so, so many posts about street art in off the beaten track locations coming up! 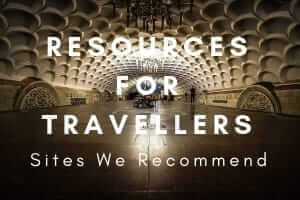 Sign up for our updates and we'll let you know when we have fresh content online. 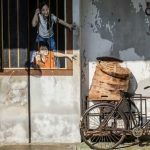 I recall driving through Kep – or being driven, via our driver – and seeing all those abandoned mansions and grand homes totally overrun by both jungle and that wicked mold which seems to grow like….mold….in the tropics. We stopped by the crab market for a few seconds until our driver got the fact that we do not eat seafood. He nodded. We headed out. Fascinating place; like a shell of its former self, which is pretty rare these days. Loved the shots here Kirsty. Thanks for sharing. 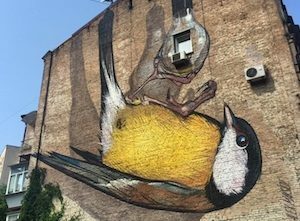 Nice shots, however as much as I love ‘street art’ I think there is a space and place for it preferably in the western hemisphere. 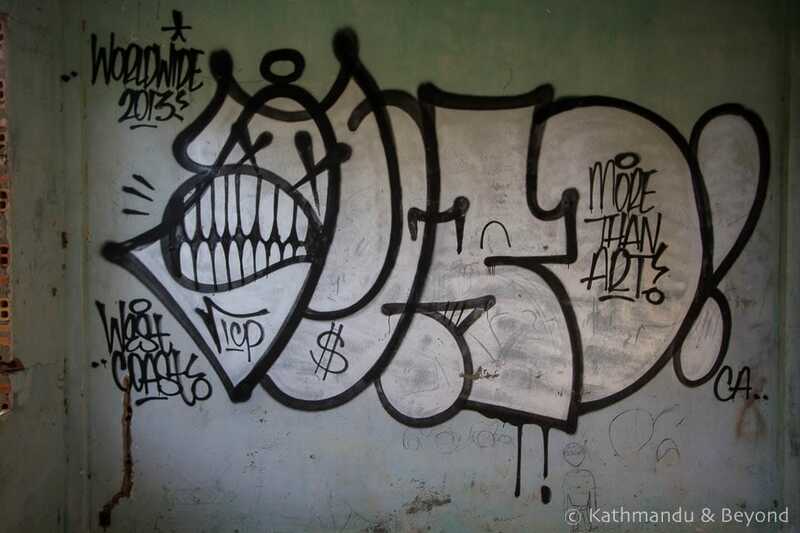 When I visited the SL 12 prison in Phnom Penh a few years ago it was sad to see graffiti/stencil art work left by visiting travelers on one of the walls in the prison.To know what happened in the prison and then have someone leave there tag, stencil, name to say ‘I was here’ is a bit beyond comprehension. Thanks for your comment. I agree there is a time and a place, as well as inappropriate places for street art and graffiti and although I have seen some street art which successfully gets across its message, the kind you describe just seems like vandalism.